Norway is a true year-round destination. But, when you go, depends on what you want to see and what you want to do. In fact, if you’ve visited somewhere in winter, you’ll find it completely different come summer. Take Arctic Norway. A winter trip to Tromso, for example, will reward with all sorts of snowy fun under the Northern Lights, from husky sledding and snowmobiling to ice fishing and snowshoe hikes. Elsewhere, ice hotels make for unique getaways. Or, knit it all together with a coastal cruise. Then, if you return over summer, you’ll find the snow thawed into beautifully green landscapes – ideal for ranging hikes. 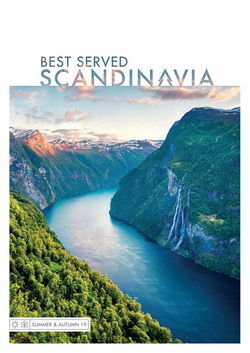 A touch further south, fjord Norway opens up to both cruises and self-drives, while a wave of excitement for the warmer weather sweeps over the cities, with Oslo and historic Bergen among the highlights. Of course, the appearance of the Midnight Sun is always a special favourite. Speaking of celestial appearances, a common question we get is: “When is the best time to see the Northern Lights in Norway”? The short answer is that it depends, especially when considering their unpredictability. Although they’re visible, above the Arctic Circle, from around September until March, the most popular months to travel run from the end of December to February. This is when the snow has usually settled and nights are at their longest and darkest, maximising the chance of aurora spotting and minimising the chance of precipitation obscuring the view. Otherwise, if you’re after warmer weather, consider travelling between September to November for those autumn auroras. 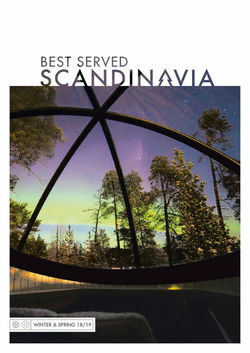 In fact, visiting Norway over autumn and spring offers the chance to see Norway on the change. You'll also still be able to enjoy many of the activities associated with their winter and summer counterparts, all while avoiding the more extreme temperatures.